David and I have five cats who us daily with their antics! Ollie chases Button’s tail. Mittens awakens me by crawling under the blanket, putting her head on my pillow (like a tiny cat human) and stares at me till I wake up wondering if I have broccoli in my teeth. Autumn is my ever-present shadow. And Chief? He allows the other cats to take his food from him without a fight. Thankfully, Buttons won’t allow that. Furry children have as much individuality and purrsonality (yes, I went there) as pet owners. 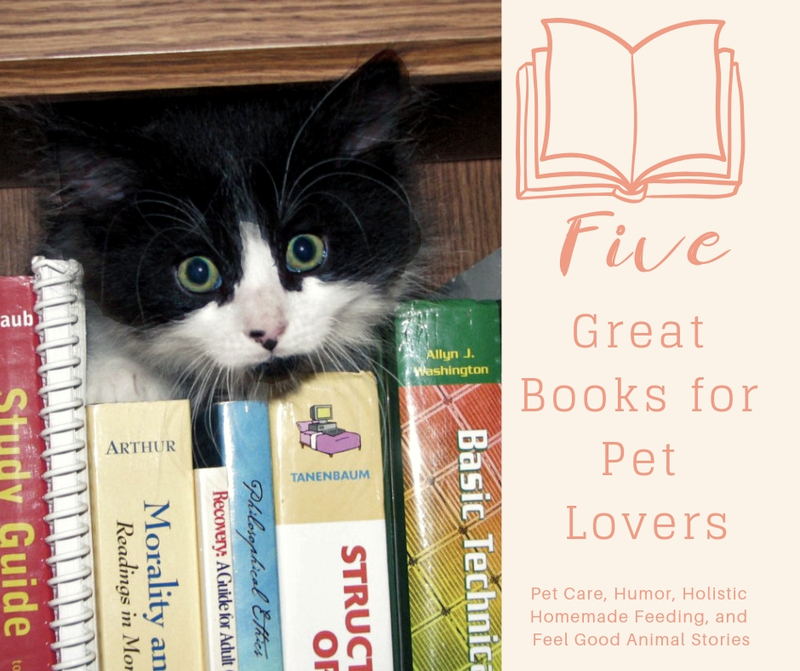 I love reading about animals, their antics, and how to care for them. 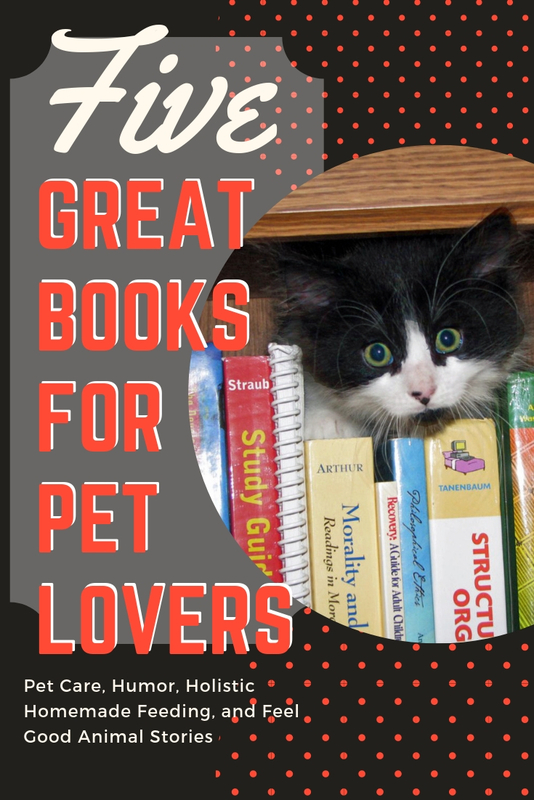 So, I wanted to share a few books you will want to get your paws on for that animal lover in your life. 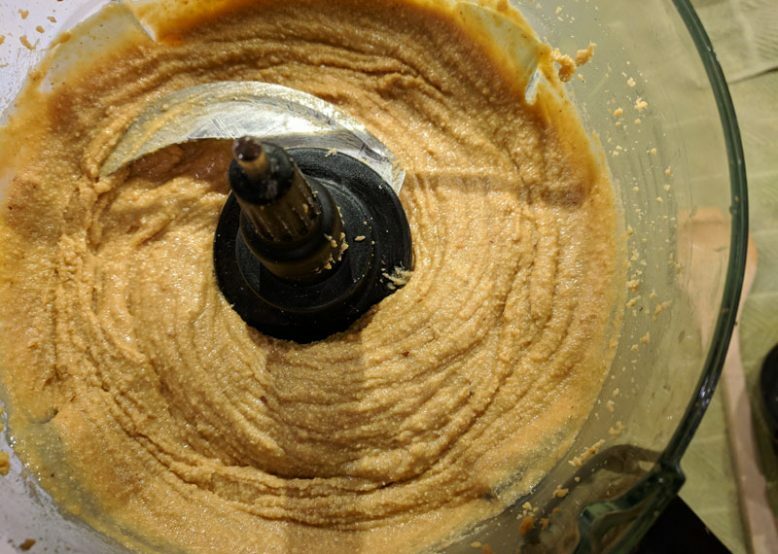 Whether you are looking for a book on making your homemade holistic dog food, a stocking stuffer for your favorite child, emergency pet care, a bit of humor, or a bit of four-legged inspiration I’ve got you covered. Yin & Yang aren’t metaphorical. Judy Morgan, DVM, creates recipes for dogs using ancient Chinese medicine. Whether or not you believe your dog’s “Chi” seems out-of-balance, you cannot argue with the healing power of foods. And even human dieticians encourage consuming these foods to fight ailments like arthritis, inflammation, and obesity. 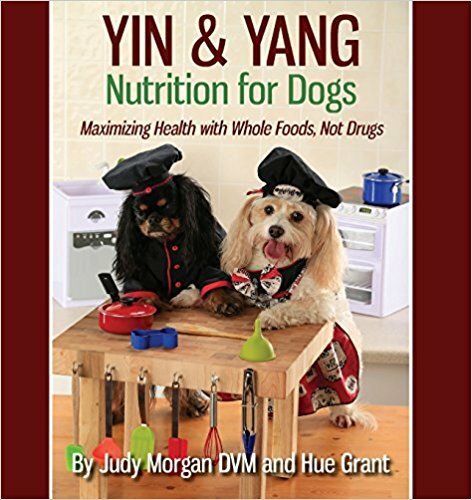 In Yin and Yang Nutrition for Dogs, patients – including one of the poochies gracing the book’s cover. Many promising testimonials follow the touching dedication. Dr. Morgan argues for feeding pets a fresher, more wholesome diet than kibble. Yin & Yang continues with a weight-based feeding chart and over 200 pages packed with advice and recipes (some with full-color photos) suited to differing pup temperaments and physical ailments. This humor book is our house’s guest bathroom staple. I honestly do not remember where I got this book, but I’ve had it since it came out in 2010. I’ve read it – and re-read it many times. Several guests who’ve taken the time to read some erupt from the bathroom giggling. You can read each short segment individually, so it makes a “pawsome” coffee table book to leave out for guests. Q&A tests so that kitty can help actualize themselves to be the best cat they can be. Who are we kidding? They already are! 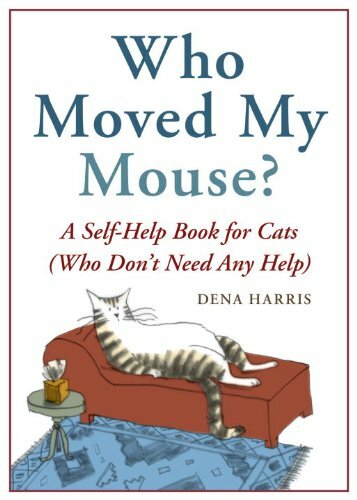 I recommend Who Moved My Mouse for any cat lover that already knows how their feline friends are pure purrfection. I am so pleased the author sent me a copy of this beautiful story about the life of a cat – and the impression he made on the people in his community told from the viewpoint of a child. I immediately fell in love with Nicholas, the cat, and loved his adventures. Charming hand-drawn black and white illustrations fill the pages, interspersed with punctuated, emphasized fonts. 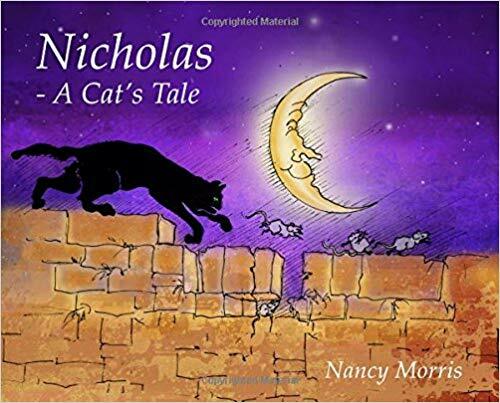 Nicholas – A Cat’s Tale makes a great read-aloud book for bedtime. The story takes place circa 1880’s in England. It’s a great conversation starter and touches on the hardships of the time such as rationing and how children were treated differently in the 1800’s. 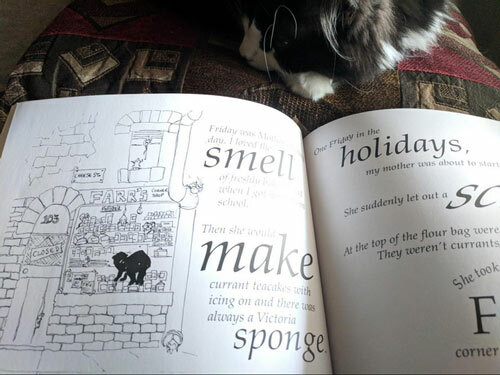 Nicholas A Cat’s Tale – Look at the charming drawings and lettering style! Because of the cadence and tone, if I were doing circle time with younger children, I would select this book first. You can almost feel the excitement building and falling. I believe that this book will become a classic. Oh! And the narrator found Nicholas on Christmas, so this book makes an excellent stocking stuffer for your cat-loving kid. Available on Amazon, but it’s not on Kindle or Prime – so order early if you want it for Christmas or a special event. I have both “The Cat Did What?” and “I Can’t Believe the Cat Did That!” from the Chicken Soup for the Soul series. Miranda Lambert wrote the forward for the “The Cat Did What?” and it’s everything you’d expect from her. I have one of these in each of our guest bathrooms because, like Who Moved My Mouse, the Chicken Soup books consist of concise, self-contained chapters. However, if you want to read them from cover to cover, don’t let me stop you. Each reader-submitted story features true-pet stories, so I find the antics and humor believable and heart-warming. Some of the stories are just so-so, but each book contains enough re-readable tales to remain amusing for a long time. Be sure to see all the Chicken Soup for Animal Lovers by both Amy Newmark and Jack Canfield. They both compile Chicken Soup books for cat and dog fans. Do you have an at-home first-aid kit for your family? If not, you probably still have the basics: an assortment of bandaid sizes, acetaminophen, Neosporin. Do you have one for your pet? Probably not! If something happens, do you know whether it’s genuinely time to rush little Rex to the vet? Or will Fluffy be ok with a quick home remedy? Consult the symptom checker to find out! You find your beloved four-legged companion unresponsive. How do you get them breathing again until you make it to the vet? Most people don’t know these answers! 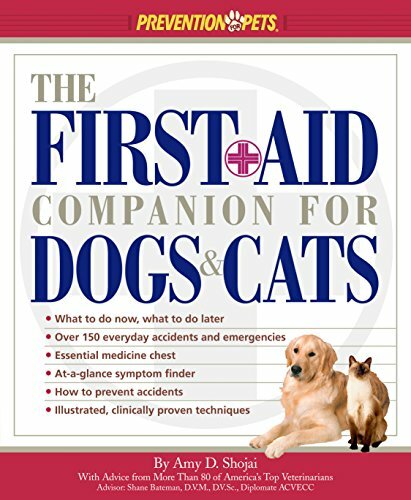 The First-Aid Companion for Dogs & Cats by Prevention Pets, written by Amy D Shojai (National Purina Spokesperson), is a must-have for every person who has a pet companion. I bought this book when it first came out, but unfortunately, lost it a few years ago when we moved back home to Florida from Minnesota. So, I just added it back to my Amazon wish list. Have a pet lover on your gift list? Whether you are looking for a book on making your homemade holistic dog food, a stocking stuffer for your favorite child, emergency pet care, a bit of humor, or a bit of four-legged inspiration I’ve got you covered. These ALL look great Alicia!! 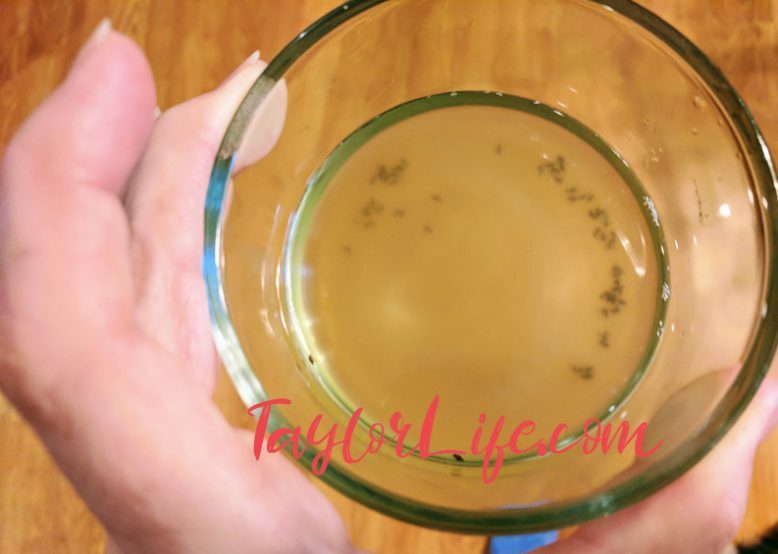 I can not wait to try the recipes for my precious Buzz…however I do believe I may have to check out the First Aide Companion also. That looks like it would be a great one to have in the library!